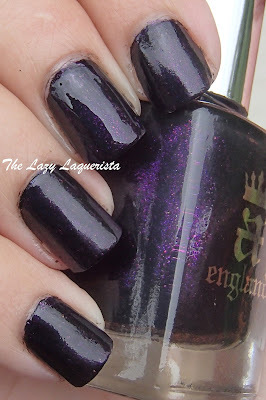 Yesterday I got some new A Englands as a gift and I couldn't wait to try them out so even though it's the middle of summer I'm wearing a dark vampy purple, Ophelia. 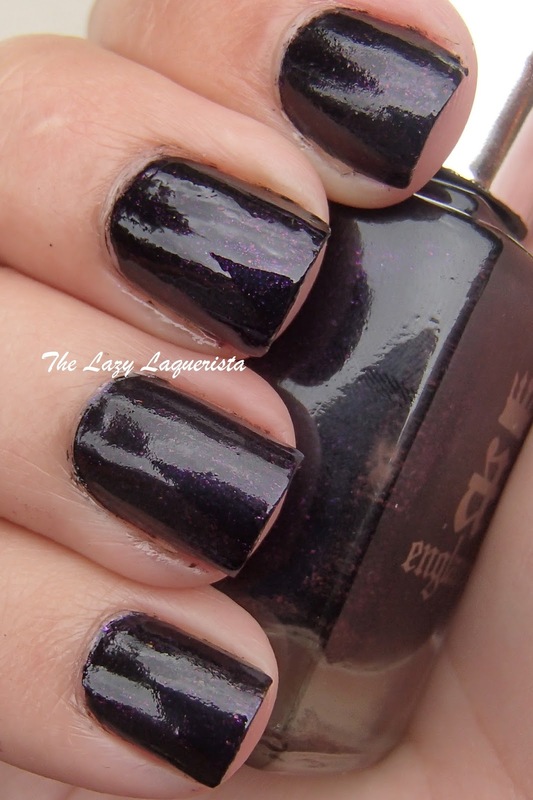 This polish is a super dark almost black purple base packed with a rich purple shimmer. There's a trick to wearing these shimmery dark polishes that I'm going to share with you. 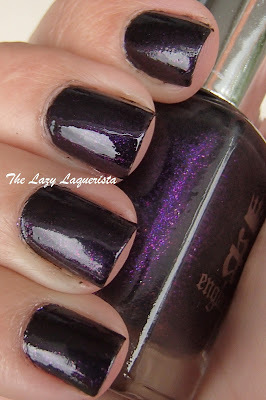 Put on your polish as you normally would until it is opaque. For me this took two coats. At this point you'll be looking at your nails wondering why they don't look nearly as shimmery as the polish in the bottle. 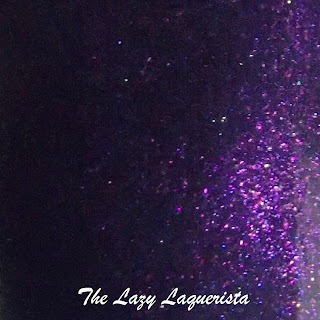 This is because the shimmer particles are covered up with a very thin layer of the purple base so they don't shine through very well. Wait until your polish is completely dry. Take a sponge (I used one that came with a China Glaze ombre set) and dip it in polish remover. Squeeze out any excess so the sponge is wet but not dripping. Then, drag it very gently up the nail surface. Don't apply pressure because then you'll just end up removing all your polish. 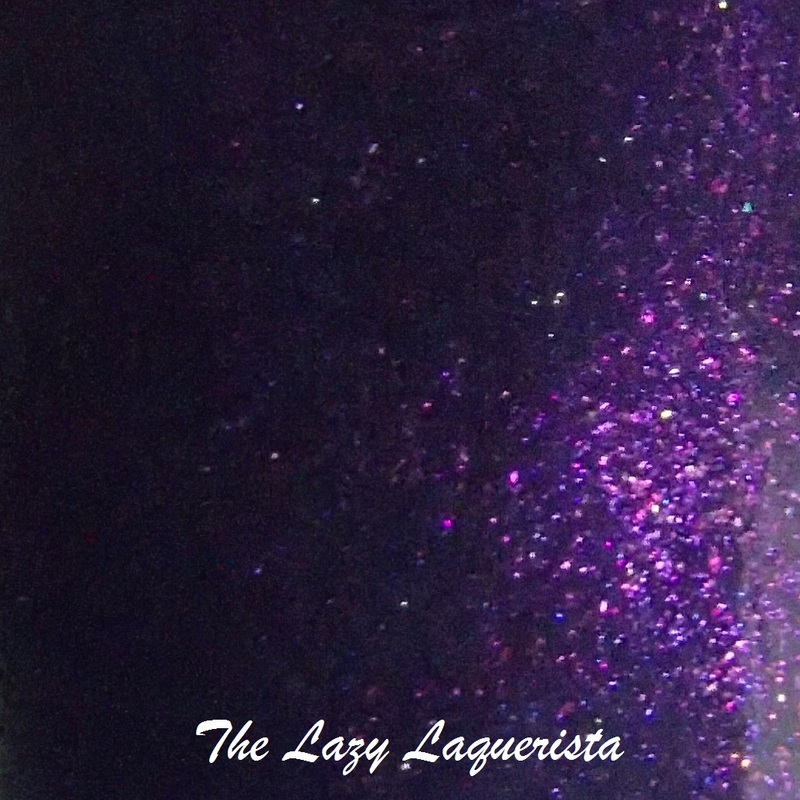 You'll see the purple shimmer revealed. 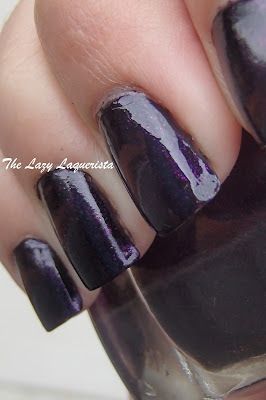 Once you've done this to all your nails apply your favorite top coat to seal everything up. Here are the results that I got. Photos show two coats of Ophelia with one coat of CND Super Shiney top coat in natural sunlight. 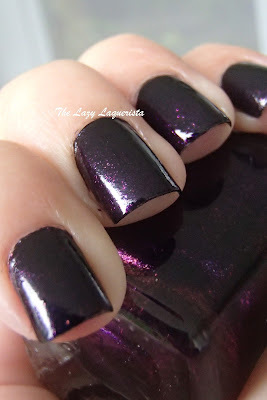 I love the depth of the shimmer in this polish, and I'm a sucker for a vampy purple. The sponge trick is definitely key to making this polish shine though so you will need to allot a little extra time to do it. In my opinion those few extra minutes are completely worth it. OMG THANK YOU!!! I have had Ophelia for a while and tried it twice. I was ready to give her up because of the lack of shimmer! I can not thank you enough for helping me not hate A England anymore!! I can't claim credit for the idea, I originally saw it in this post: http://pshiiit.com/2012/10/31/comment-reveler-la-vraie-beauty-des-gothic-beauties/. Luckily my french is good enough that I got the general idea of what she was talking about. I just decided to try a sponge instead because q-tips and cotton pads always leave fluffies stuck to my nails. Seems to work just as well. Yes, thank you for sharing this! I wore Ophelia last week and was thinking about swapping it because it just looked black. I am definitely trying this today! It's an easy little trick that definitely brightens up the polish :).